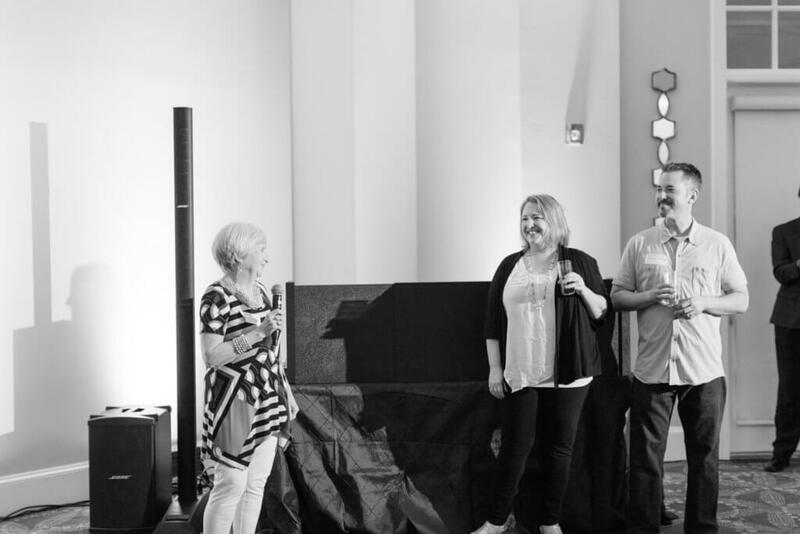 At any Richmond Weddings™ event, from the networking meetings to the show, there’s one staple, Mickie Bowman. 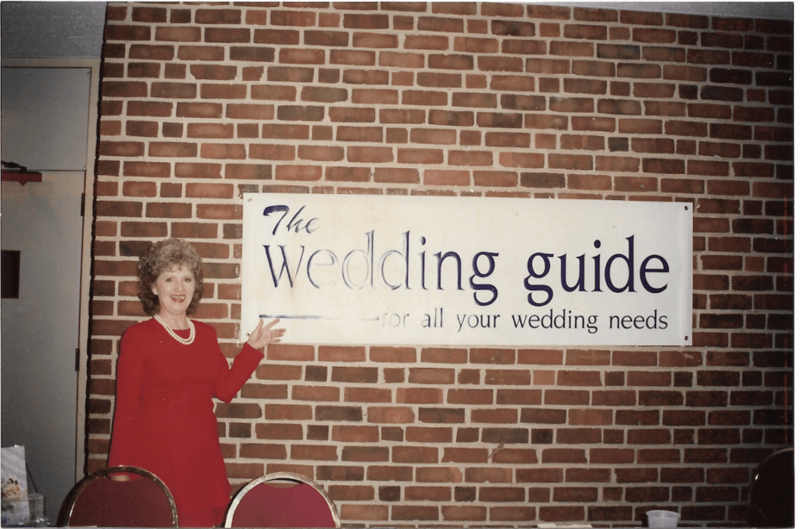 Mickie, who is amazingly spry for the age she wears as a badge, is the impressive woman responsible for starting what is now Richmond Weddings™ 30 years ago. Rewind to the ‘70s. Mickie found herself divorced in her 40’s, barely keeping afloat, and out in the working world for the first time. 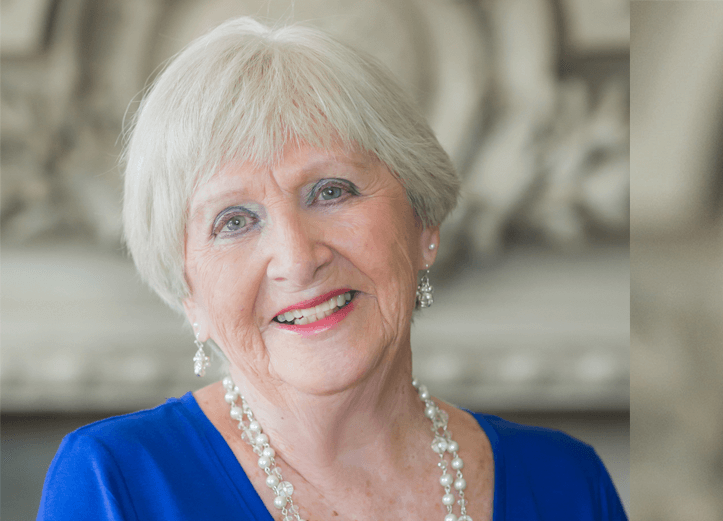 Having spent most of her life raising her four children, including our Editor-In-Chief Amye, Mickie had no idea where to start and not enough money to linger on it. 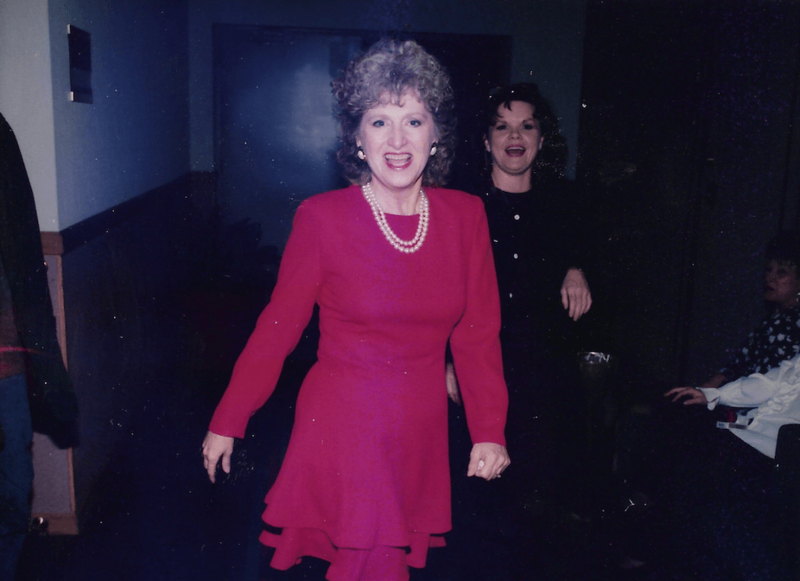 In the 1980s, she got a job offering cable television to families and discovered a talent that had been waiting in the rafters for years…selling. But rather than using big business techniques, Mickie just used what she was familiar with. She explains, “Because my background was family, that’s how I considered people I was selling to. I didn’t even realize it was my strength, I just pictured everyone as my family.” Door to door Mickie went on foot selling cable, a commodity at the time. Laughing she recalls, “I would often assist families loading in their groceries.” A helpful hand that eventually landed her as the top saleswoman in the company. After nine years on top, Mickie decided she wanted to have her own business. 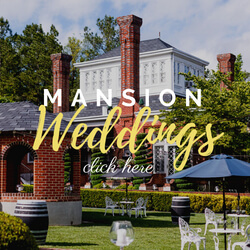 She explains, “Whenever I traveled, I wanted to know the best places to eat and shop, I figured, why not make a guidebook like that for brides?” And with that idea, The Wedding Guide (now Richmond Weddings™) was born. As she was nearing 50, Mickie published the very first issue. Flipping through it Mickie shakes her head and laughs, pointing out all the little mistakes and outdated tidbits. On one of the directory pages there’s a phone number corrected with pen, an edit Mickie made Amye, a teenager at the time, help with. Along with other family members they all handwrote the corrected number in each one, about 1,500 times. There have been many companies who began with Mickie during her formative years. 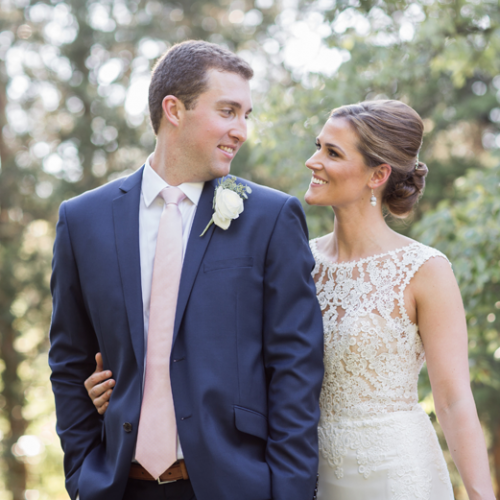 Although wedding vendors come and go, here are a few that continue today with Amye and Scott. Their trust and friendship is truly appreciated! Accent on Travel, Butler Portraits, Doubletree by Hilton Hotel (formerly Holiday Inn Kroger Center), Hayes & Fisk Photography (formerly Hayes – The Art of Photography), Homemades by Suzanne (The Colony Club and The John Marshall Ballrooms), The Jefferson Hotel, Journeys, Inc., Linden Row Inn, Nard’s Professional DJ Service, Sam Miller’s, Tiffanys Bridal, The Valentine, Vogue Flowers. At a mere 64 pages, the book was revolutionary for the Richmond wedding market and tangible evidence of everything Mickie had worked for. While she flips, there’s also the unmistakable look of pride on her face. “I gave them to the bridal shops and people absolutely loved it because they had never seen anything like it before!” Even with the simple clip art and basic articles, this was a Richmond bride’s dream and a vendor’s perfect marketing outlet. 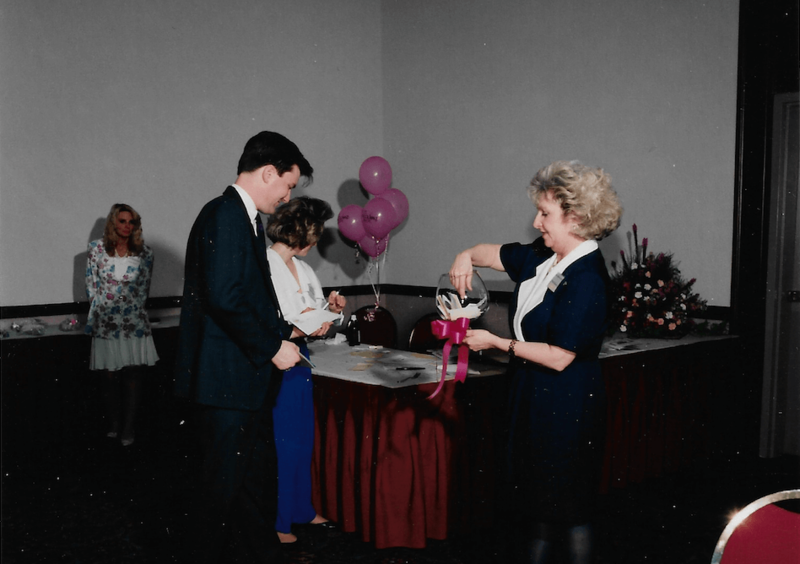 Then in 1994, Mickie decided to add an additional resource for engaged couples to find their vendors, wedding shows. The shows Mickie started over two decades ago continue today, just like the magazine. And just like the magazine, there are vendors that have been doing the shows since inception. When hearing Mickie’s story, the numbers just don’t seem to add up. While most are ready to retire, Mickie was just getting started. Eventually in 2005, 16 years after the first issue, Mickie was ready to pass along the torch and had a certain someone in mind. Since then, Richmond Weddings™ has blossomed into the company it is today. In 2016 the name was trademarked, a major moment for Amye and Scott and Mickie. We have a semi-annual wedding show with over 100 vendors and a semi-annual publication more than four times the size of the original. But with its growth, Mickie’s presence and influence have always been there. Richmond Weddings™ is the success it is now because of the work and dedication that Mickie put in and passed along to Amye and Scott. Here we give hugs instead of handshakes and treat everyone like family. Why? Because that’s the way Mickie did it. 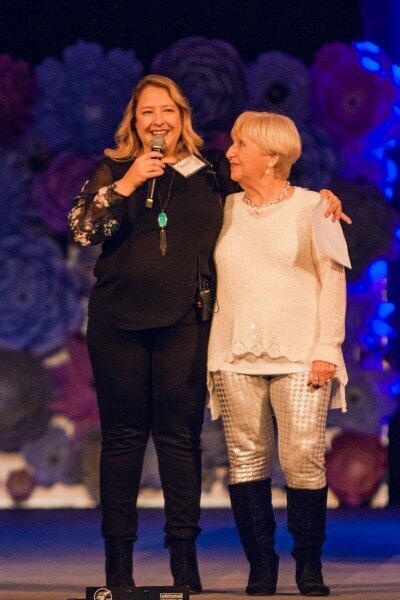 It has been insuring in the wedding industry to know Mickie and watch her grow her business all these years! To see Amye and Scott take over and grow it even more! Love to see a local business busting at the seams and becoming a Richmond icon! Congratulations! Job well done! Happy Birthday Mickie! Mickie, you have worked so hard. A real Horatio Alger Award story in my book. And although you’ve retired, you’ve still got the “go” in you. Go girl! Congratulations and lots of hugs.